After a relatively calm few months, the Northeastern United States was hit with a record-setting blizzard. According to WBZ, CBS’ affiliate station in Boston, the storm was the fifth-largest in New England history. The blizzard touched every state from Pennsylvania to Maine, with the upper Northeast receiving the bulk of the snow. Other states are preparing for blizzards of their own. CNN recently reported that meteorologists predict a large winter storm will blast the Midwest next week. The forecast calls for wind gusts in excess of 50 miles per hour and over a foot of snow in some areas. The threat of additional blizzards likely will not end until early May. 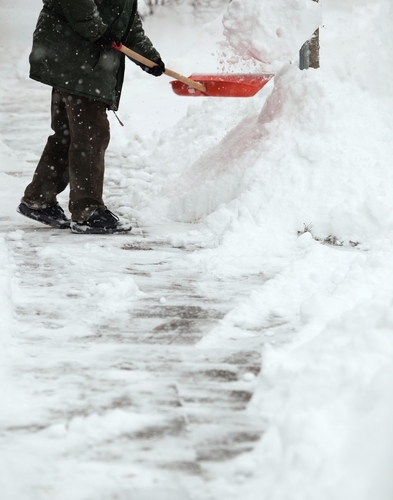 During winter storms, people should stay indoors to avoid the dangerous conditions. Small business owners should ensure that their customers can stay warm by distributing branded mugs during their promotional giveaways. Consumers will love having mugs for their hot chocolate so they can ride out the storm in relative comfort. Once the storms are over and the roads have been plowed, customers can bring the unique promotional products to work. The mugs will be used for the all-important morning cup of coffee everyday after employees come in from the cold. The gifts will be kept for months so small businesses can advertise to their customers after winter ends.